What if you could take a vacation inside of a vacation? You can, thanks to airlines that offer travelers stopover flights on the way to or from their final destination. Airlines allow travelers to stay from one to several days in select cities along specific routes and some also even have special tour packages. Below are 11 global carriers that offer stopover programs. Take in a visit to the country’s top three cities — Montreal, Toronto or Vancouver — the next time you book a flight on an itinerary that has a connect time of six hours or more on Canada’s flag carrier. Travelers can book a stopover flight up to four days before their departure. The airline even has a link to book an overnight hotel stay. And travelers can do the stopover on both legs of their flight. Travelers have access to a 24-hour shuttle bus ride between the hotel and the airport, and the deal also includes breakfast and a double room. Dubai has become a hot travel destination and Emirates is regularly at the top of lists for service aboard its flights. The airline offers up to three days in Dubai with a stopover package for those connecting via the more than 150 cities it serves. After paying $62 for a four-day visa, Emirates offers free shuttle service to the more than 60 hotels — ranging from two to five stars — participating in the stopover program. The airline also has special rates for the City Sightseeing Dubai hop-on, hop-off bus and can arrange for a round of golf (including free shoe and club rentals), a desert safari or a tour of the Burj Khalifa, the tallest building in the world. You must pay for the hotel, but all of them include a free breakfast. The airline has several options who want to do a stopover in its home base of Abu Dhabi on their way to nearly 100 of the destinations it serves. Travelers with between six and 12 hours to kill can pay $40 and either play nine holes of golf or enjoy a day at the pool at the Yas Links Golf Course. Under Etihad’s two-for-one deal, travelers who choose to stay two nights in Abu Dhabi can get one night for free at hotels ranging from three to five stars. The airline can also arrange sightseeing tours. Helsinki Airport, home to Finland’s flag carrier, is also known as one of the best-kept secrets when it comes to traveling through Europe and beyond. The airport touts itself as “the shortest and smoothest way to travel between Europe and Asia.” With a single terminal, transfer times are among the shortest in Europe. The airport is known for offering a great passenger experience, with services including a free comfortable traveler’s lounge, an art gallery, a book swap and an outdoor terrace. And Finnair wants to entice travelers to book a stopover — either coming in or going out — where stays can range from five hours to five days. Once the flight is booked, go over to the Finland Tours website, where you can sign up for pre-arranged tours or create your own, with prices ranging from $86 to $2058. This carrier has been offering free stopovers since the 1960s. Under the program, travelers stop in Iceland for up to seven days either at the beginning or the end of their trip to the 72 cities in North America and Europe that it serves for free. 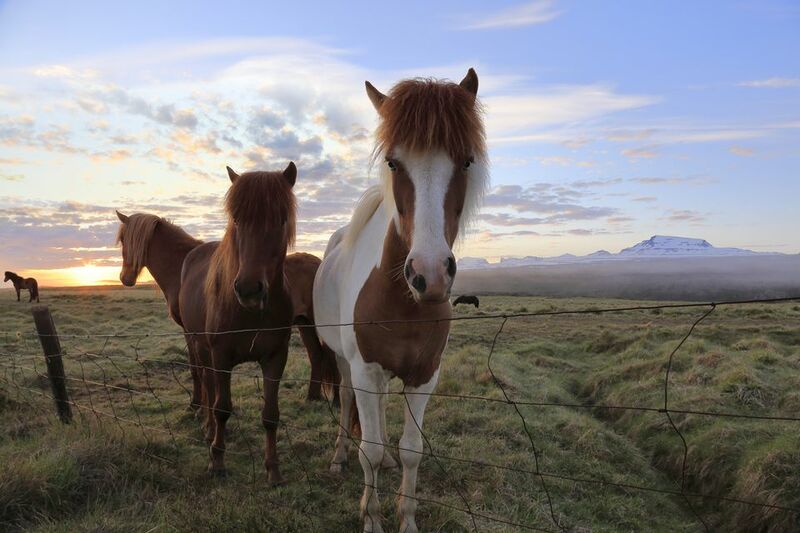 The airline has suggestions on what you can do in Iceland on one- to five-day stopovers. This Doha-based carrier has made it easy for travelers to visit on their way to or from a trip to the 150 destinations it serves. After booking a flight, passengers can get a transit visa and a free stay at four- or five-star hotels, courtesy of the Qatar Tourism Authority. The program has three levels: Qatar Ultimate, which offers a two-night stay in a four-star or five-star hotel for a $50 per room booking fee; Qatar Luxury, where the airline’s First and Business Class passengers get a free night’s stay from a selection of luxurious five-star hotels; and Qatar Premium, where coach class passengers get a free overnight stay at a four-star hotel. The airline also offers a page of suggested things to do in Doha, including a visit to the Souq Waqif, take an evening dinner cruise, or do a desert safari. The country’s flag carrier unveiled its stopover program in October 2016. Travelers can spend up to three days in Lisbon or Porto on their way to or from the 76 destinations served by the airline. It offers travelers perks including special deals on hotels, a free bottle of wine at restaurants, advice on experiences to try in both cities and an app to keep track of it all. If the Algarve is your final destination in Portugal, check out what travelers can enjoy in the southern part of the country. If you’re flying to one of this flag carrier’s 299 destinations and have a layover of between six and 24 hours at Istanbul Atatürk Airport, you can either stay in a daytime hotel for free or take a tour of the city via TourIstanbul. Tours start at the airport’s Hotel Desk and are offered by English-speaking guides five times a day. Travelers will visit museums, historical sites, and religious establishments, and free time is built in. The tour operator covers the cost of meals, transfers, entrance fees, and the tour guide. The airline offers two packages: the Basic Singapore Stopover Holiday and the Singapore Stopover Holiday. The basic program offers a one-night hotel stay and airport-hotel-airport transfers starting at $30 a night. Travelers can also buy a Singapore Explorer Pass, which offers one-time access to more than 20 attractions including Chinatown Food Street, Jurong Bird Park, Singapore River Cruise, Singapore Zoo, and the SIA Hop-on Bus. The regular program includes an overnight hotel, airport transfers, free rides on the SIA Hop-on Bus, and admission to more than 15 tourist attractions in partnership with Changi Airport Group and the Singapore Tourism Board (STB). This Iceland-based low-cost carrier created its program to allow travelers to visit the country for free. It can be booked on roundtrip flights between North America and Europe via Keflavík International Airport in either direction. The airline also offers a list of tours and activities available during a visit to Iceland and a blog post on 10 reasons why a stopover is a great idea.